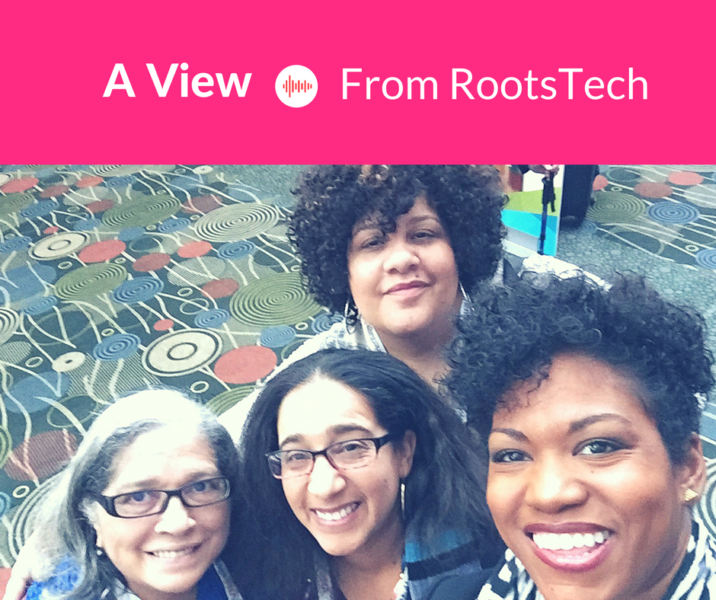 A View from RootsTech 2017 - who is nicka smith? RootsTech, from a branding, staging (interior design, art, etc. ), and size perspective, is EONS ahead of the other major genealogy conferences. Like, light years. No one on earth can question that. Attention is put there and you can see it. This makes the event come alive instead of looking like an event for dead people. The minute you traveled down the streets in downtown Salt Lake City you saw images of the conference everywhere. The colors chosen were consistent and vibrant, the use of images of diverse populations was obvious (read that: they had conference branding featuring people of color!). I’ve planned and attended a lot of events of a wide range of sizes and have to say whoever put together these things is a bad (in a good way) individual or business. Kudos, kudos, kudos. I did a few Facebook Live sessions – one around the main drag of the conference during the keynote by the Property Brothers to show the attendance size and another walking the expo floor to show the types of vendors and the size of that. 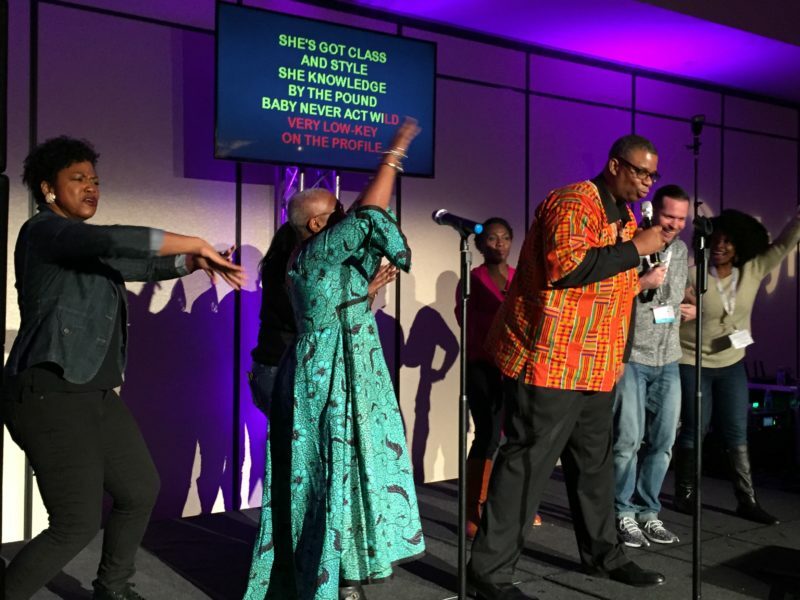 We capped off Thursday with our latest episode of BlackProGen LIVE where we discussed our impressions of the event thus far and why you should go to conferences. We were elated to be joined by our geneabud, Genealogy Jen. No one can question that the most impactful and meaningful day of the event was the first ever African Heritage Day on Friday. It didn’t matter who you talked to, this was obvious based on conversations in person and what was on social media. The day kicked off with a mesmerizing keynote by LeVar Burton, who is most famously known as Kunta Kinte in the first television adaptation of Alex Haley’s Roots and the host of PBS’ Reading Rainbow. Everyone was captivated as Burton recalled his own personal story of being raised by a single mother who taught him the value of education. There wasn’t a dry eye in the house as FamilySearch’s Thom Reed presented Burton with his family history. LeVar Burton sees the names of his ancestors during a family history presentation by FamilySearch’s Thom Reed. Following Burton’s amazing keynote, we heard awesome musical performances from the Calvary Baptist Church choir and some of my geneabuds gave short presentations on aspects of African American life through the lens of their families – Kenyatta Berry of Genealogy Roadshow spoke about naming traditions, AAHGS national president Sherri Camp talked about traditions around food, and Melvin Collier recounted his discovery and reconnection with his Ghaninan roots care of DNA. The opening session concluded with a panel featuring Kenyatta, Sherri, and Melvin. I was excited to see that me, Shelley, Melvin, and Sherri were featured in the recap for Friday created by FamilySearch. Later that evening, the recently launched MyHeritageDNA held a super fun party where I hammed it up with geneabuds doing karaoke and playing in the photo booth. Janice Sellers – “Finding Family Members in Freedmen Bank Records” (Janice also presented “Documenting My Freedmen Ancestors” on Wednesday). 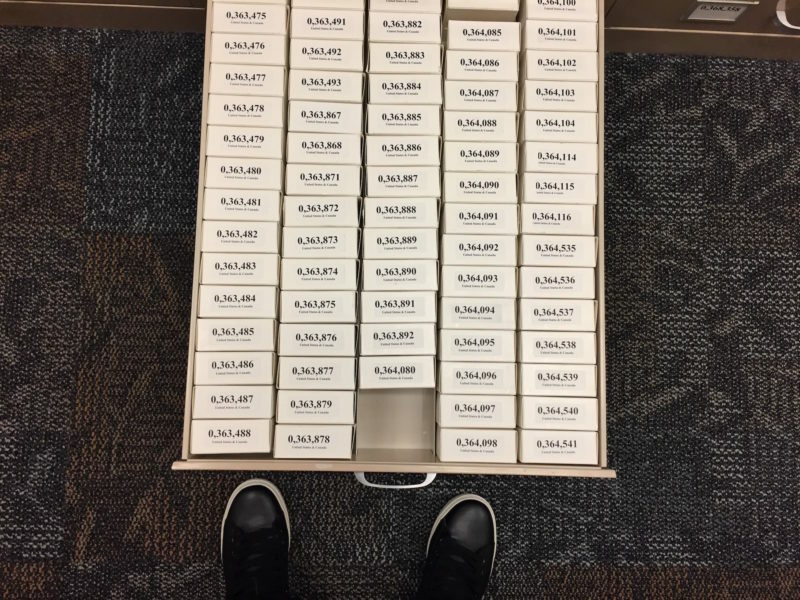 I also took a trip to the FamilySearch Library to help folks get started with offline research and do a bit of digging on my own. I really enjoyed my time at RootsTech. I think it’s a great event especially for someone who is younger who is into genealogy. The tech focus is a breath of fresh air and it helps you keep up with all the new innovations coming down the pike for the bigger companies and smaller emerging ones. The networking is first class, and for me, this is a large motivator for me to return as a speaker/attendee in the years that follow. On the negative end, the mere size of the convention center and where the sessions are held is great for a younger crowd, but it may be a challenge for others who may have mobility issues to navigate. Most of the African American classes were held a pretty far distance from the main area of the conference, and while we did see great class sizes, I wonder if this was a deterrent for attendees. I’d suggest the conference planners mention the amount of walking somewhere in the FAQ section on the website. I’d also suggest scheduling wise that sessions for a specific genre of research not be held at the same time – this makes attendees have to choose between sessions rather than having the ability to take them all. While the conference itself made sure that their materials reflected America’s melting pot (which is HUGE), the vendors who provided materials for the conference bag didn’t feature a single person of color in their ads. I would love to see an expanded set of classes on people of color genealogy offered next year which would definitely increase attendance for those populations in future conferences. We definitely need to keep the momentum of the successful African Heritage Day in 2018 and also be inclusive of Asian, Latinx, and other communities too. 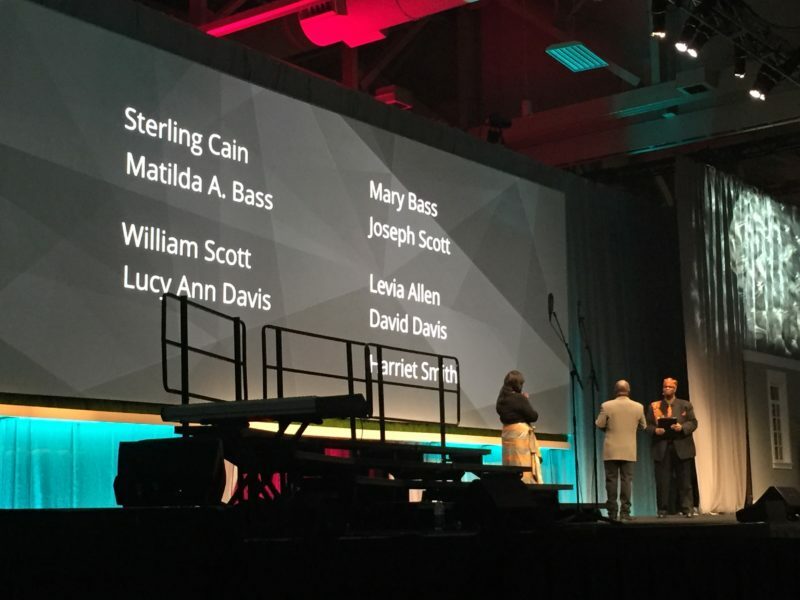 Did you attend RootsTech? What did you think? If not, what were your impressions following it online? Sound off below! Pingback: A Taste of RootsTech 2018 - who is nicka smith?